Topic: TAR 31 Pre-Race Facts and Speculation WE ARE BACK! I completely disagree with your disgraceful opinion, and I hope that TAR doesn't die. What are you even doing on this forum if you think that? Honestly, the Us Weekly list is a very safe list. It could easily be 10x worse. I was expecting it to be 10x worse. But the seeming criteria used for that alleged BB shortlist, the Survivor representatives will most likely be people like Rupert, Sandra and then a few Blood vs Water teams for the easy relationship connections. This whole thing is still desperate, but I'm warming up to the idea if these BB teams are the ones they'll be choosing from. I'm not paying any attention to the rumors about who's going to be on the show. Why? Because they are RUMORS. Many of them planted by people with an agenda. Right now if you believe the rumors, we're going to have about 40 teams. I'll find out when the cast is revealed. It's much easier on my blood pressure. Some of the rumors will be right, most won't be. Oh my gosh that would be the BEST TEAM ever! They would be a delight to watch but actually running might be an issue...esp with no notice to get fit. I like James, but not Corey. He's soooooooo boring omg. Let's bring people from old seasons please, not just those from the lates ones! Agree Corey was boring...on Big Brother. TAR will be a different element. Yup. It's frankly silly that peeps are actually believing that there is any chance that people like Corey and Bridgette have ANY chance at all of being part of anything and not just names pulled out of thin air to match up with Davonne and James since they each needed a partner for these planted rumours. Didn’t one of the articles say that filming would begin end of May? Any news of people leaving? Sightings? Didnt one of the articles say that filming would begin end of May? Any news of people leaving? Sightings? This is not the season to believe everything you read. TMZ is saying that Paul and Josh will be on TAR31. The article has a few mistakes. It says that Paul and Josh were rivals but then became friends after BB19. Thats not true. They were close the whole game. The article again says "The 'Race' starts at the end of the month in New Guinea"
It's just so inconvenient and against the norm of the route always being budget-friendly. Though it wouldn't be surprising if Moonves threw more money at this season if only for the BB connection. I don't think they would start in Papua New Guinea. They didn't say that it was going to be starting line nor being the first destination. 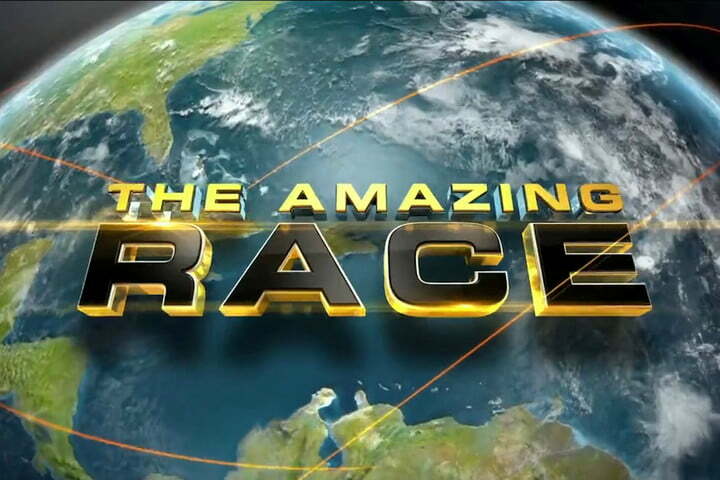 The 'Race' starts at the end of the month in New Guinea. Even the problem in Papua New Guinea that its only international airport (Jacksons International Airport) in Port Moresby that serves flights from/to Australia with limited schedule time basis that the flights made a stop from Sydney or Brisbane. About Papua New Guinea, I had an wishlist few years ago about route of all new countries route, Papua included, just backwards. It would be really amazing tho, whole lot of countries have still never been visited. Of all the types of pre-race spoilers, I would find destination spoilers the least reliable. And certainly, prospective racers would not be privy to such information. I thought I heard once that racers do get a list of potential countries, for Visa reasons. They also get some visas for countries they do not intend to visit. This keeps the teams guessing on where they are actually going. Amazing for a different season, yes. People who spoke about bad production decisions previously were shunned "because it was wrong not to be 100% supportive of the show", were fearful that this might happen one day. It's why fans should be critical of casting BB teams in years past. Tough love is needed at times. Indeed. Blind loyalty is never a good thing. About all these "spoilers," it is very interesting to speculate about. Someone at TAR or CBS must be leaking this information to TMZ. TMZ is a "tabloid," but they aren't pulling this out of thin air. And they wouldn't be so interested about TAR (let's be honest) otherwise. So none of it can be true. Them insisting Papua New Guinea is kinda funny because us as TAR fans might agree that it's pretty improbable for a first Leg destination. (Even more if the first Leg is two countries, Papua New Guinea and Australia together, for example.) Then again, TAR31 isn't shaping up to be a "normal" season now is it? So who knows? I think CBS and TAR need to do some housecleaning. These kinds of leaks are unacceptable. Odd that we only have them now that BB is involved? As a spoiler board, even we would not put our TAR teams at risk in this way. TMZ is putting publicity over safety by advertising a future location....NOT a good move. PNG could be feasible...if you want to fly from LAX or SFO and have a loooong flight, then a 4+ hour layover in Sydney or Brisbane...and then a leg. Would make MUCH more sense to have a leg in AUS then PNG. BUT given the leakage...if they WERE planning it, I would not be surprised if they were now forced to change it. TAR never likes to advertise their route...for safety and security. And if they were doing it, and have to change it because of TMZ...I would be pretty furious. It is a location many of us have wished for for years. As a Level 2 watch, it is def doable...but care must be taken. So am sure that they had carefully planned a secure leg. How much of a possibility that maybe TARUS is shifting a little on their policy of secrecy when it comes to route. Maybe seeing TAR Asia and China not really have problems with revealing their entire route pre-Race makes them more comfortable doing so. There was once a time public Starting Lines and announcing the full cast before the Race was unheard of. Maybe they think stuff like this (leaks, hype) will boost interest and ratings. At the same time though, we saw what happened with TAR30. *ahem* TARA and TARCh fans may respect the Race and not put the teams in danger or actively try to help/hurt certain teams. But BB American/TARUS fans?